After the disappointment of the Wii U, Nintendo bounced back with the Nintendo Switch, which has sold extremely well. While it's only less than 10 million units ahead of the Wii U, the Switch has caught the eyes of more consumers. Backed up by some incredible exclusives like Legend of Zelda: Breath of the Wild, Super Smash Bros. Ultimate, Super Mario Odyssey, and Splatoon 2, it's no surprise that gamers have decided to join Nintendo for this console generation. Nintendo Life has reported that not only has the Switch overtaken Sony's highly acclaimed PS4 and PS4 Slim separately, but Nintendo's latest console has outsold them both combined, over in Japan. While this does not include the PS4 Pro, this is still a monumental feat for the Switch. The combined units sold in Japan for the PS4 Classic and the Slim sit around 6,540,000 while the Nintendo Switch is currently at 6,670,000 units. Globally, the Switch still falls short of the PS4 and the Xbox One. Sony's series of 7th generation consoles have sold well over 80 million, with Microsoft sitting behind them with nearly 40 million. The Switch? 22 million units at the moment, but with the console getting a lot of love from gamers around the globe, we could very well see another boost in sales soon. It's not too far-fetched to think that by the time the next generation of consoles comes out, Nintendo's home console will have outperformed Microsoft's. However, Nintendo technically has surpassed them this time around with the sales of the 3DS, which has reportedly sold around 74 million units worldwide. 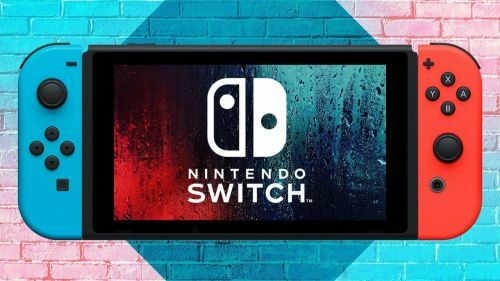 Add in the fact that both the PS4 and the Xbox One are five years old at this point and the Nintendo Switch was released in 2017, and it's clear to see that the Switch is just getting started, and could be on its way to breaking the company's record-selling Wii.